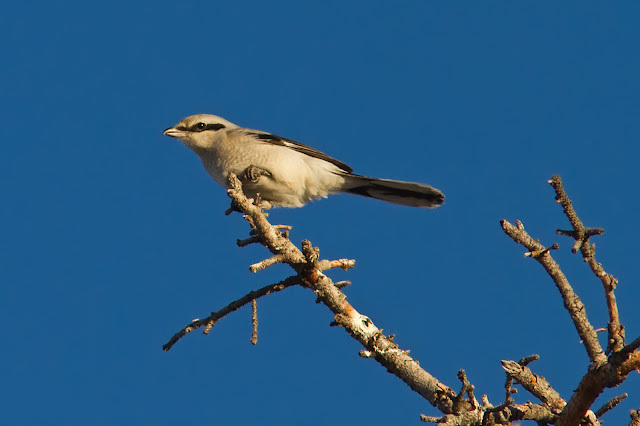 Mike, Ray and I, along with Jerry Pilny, ventured into the foothills SW of Calgary for a morning of birding. The outlook was for mild temperatures and high winds and, perhaps surprisingly, the forecast was right. For the first hour, birding was very quiet with only the occasional Rough-legged Hawk to catch our attention. Around 10am we found a mixed flock comprising Brown Creeper, Boreal & Black-capped Chickadees, Dark-eyed Junco and Red-breasted Nuthatch. West of Turner Valley we stopped to scan a frozen wetland and a lone Snow Bunting flew over. The wind was picking up and a Northern Shrike was almost horizontal while searching for prey. Jerry then took us to a feeder near Millarville that he had visited on the recent Sheep River CBC. He promised us many birds and we weren’t disappointed. Evening Grosbeaks were the feature birds and were accompanied by Pine Grosbeak, Mourning Dove, Ring-necked Pheasant, Downy & Hairy Woodpeckers and many Common Redpolls. 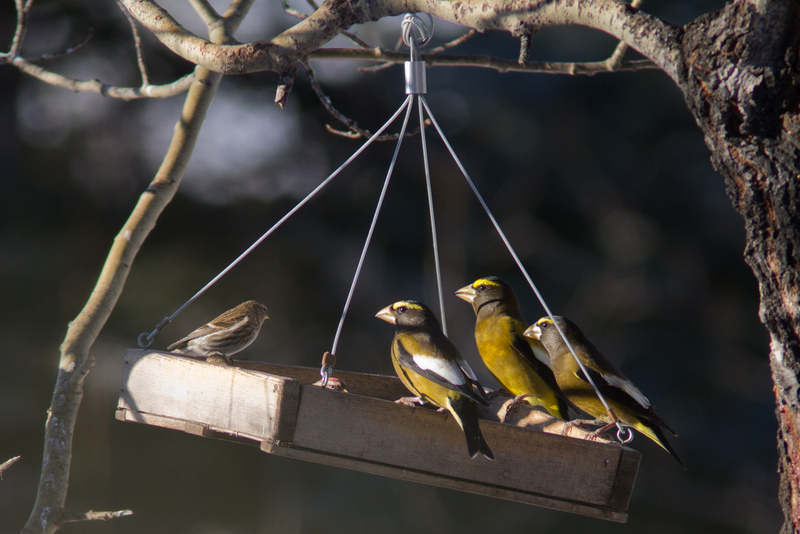 In case you were wondering - 3 Evening Grosbeaks outweigh 1 Common Redpoll! The team total is now 37 bird species and 5 mammals. We are now in Halifax to see what we can find on the east coast. The forecast is for mild conditions – hopefully the weather person will be right again! An Owl and a Falcon!